Something isn't wired correctly somewhere. Did the harness look ok when you swapped out the head units? The balance and fade should work the same on stock and aftermarket head units. Oh, and my amp’s fuse holder melted for the 2nd time. I have a 4 gauge power wire running straight from the battery to my amp, with the fuse mounted approx 6” from the battery. I installed my bass setup back in ‘08 and never had any issues, then all of a sudden late last year, the fuse melted. I replaced it back in November and it melted again! I have a 40 amp fuse in it, and the holder itself is a Scosche (purchases at Walmart). Last edited by LXS; 03-27-2018 at 07:26 PM. 1. Are you door and rear deck speakers stock? 2. Do you still have the rear deck mounted amps? 3. what wiring have you done; sounds like you have installed an amp in the truck? 4. 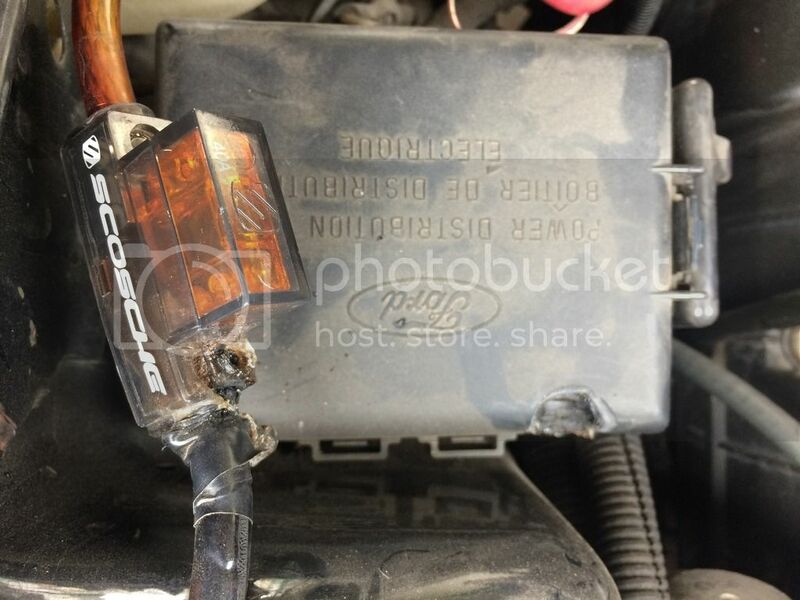 4 amp fuse? must be a type? 6. Sounds like you installed head unit; how was the speaker outputs wired up? Meaning, in a normal install, you would / could wire in the 2.5" speakers in the door pods and rear deck to the deck's power output level. Then the sub out should be wired to the rear amps. Of course, you must have a lowpass and high pass crossovers configured in your head unit, otherwise you will blow those little 2.5" speakers. So, knowing how your head unit is wired would be huge in this case. 7. What wire kit did you use on your head unit? I've wired in the wires for the Performance Technique amp (800+watts) in the truck, which powers only my bass speaker which is a 15" Solo Baric. I also did the wiring for the Pioneer head unit I installed a year ago and the splitter to tap into the rear deck speakers, which sends the signal to my Solo Baric. All speakers are original, have yet to touch any of them. I bought a harness conversion kit from Crutchfield, all I did was match the wires from the head unit to the part I ordered then plugged it into the stock harness. Two of the three stock wire harness plugs are solely being used. I didn't cut or mess with any of the original wires, I tried to keep it as headache free as possible lol. To my understanding, since the lower door speakers are bass speakers, it makes sense that they remain on when I move the fade to the rear, and turn off when fade to the front. Or am I incorrect in thinking this? I do plan (eventually) on replacing and upgrading all of my car's speakers to better quality ones, just too busy at the moment to do so. I hope I was able to answer all of your questions, and if not, I'll do my best to answer or clear up with your follow up response/questions. Thanks for you time, I truly appreciate it! Wow, that is a very Bad! I cannot see how any of your other wiring would create a mess like that so we can focus on your Amp install. 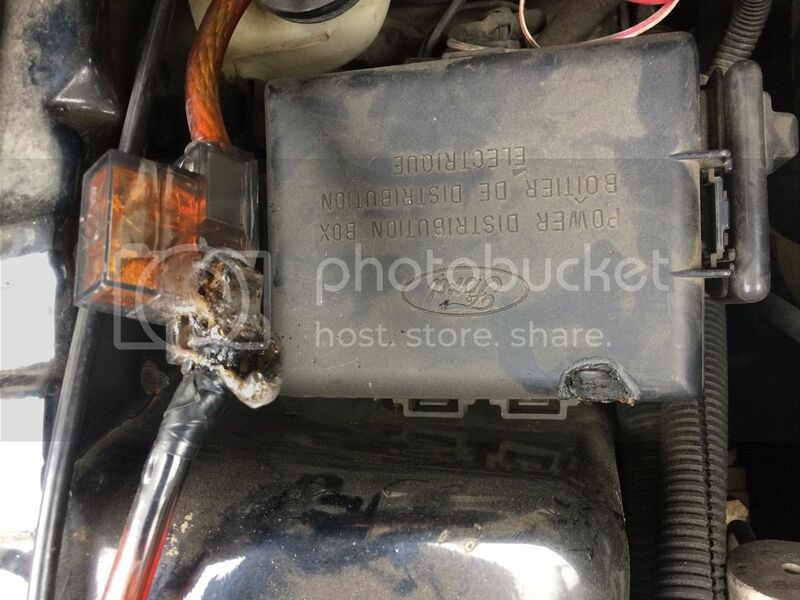 To melt the fuse holder is caused by heat; the source of heat in this case would be a higher than expected current draw such as a bad component in line or a direct short in your power cable. 1. I would pay extremely close attention to your wire and make sure you do not have a cut somewhere that is causing a short. 2b. Check the speaker wires going to your sub, look for a cut wire, aka current draw/short. 3. Smell your amp, does it smell burnt? 4. Check the ground to your amp. 5. You could put a 12volt auto bulb/test light inline on the positive cable, meaning jumper in place of the fuse with everything off. The light should be off or very dim, if bright, then you have a current draw that you should not have, aka short. That could be the power cable or internally inside the amp. That is pretty. much it. BTW, your fader should work properly if you wired up the head unit correctly, fade front to back will control the 6x8s as well.